So, you'd like to know a little bit about me? First, take a moment to read My Kindle Fire Story where I share (and show with a few pictures) my misadventures as a secret detective which ended up with me getting a Kindle Fire in my hot little hands- it's quite the story! Also, be sure to read My SBI! Journey: How I Turned My Passion into a Successful Website Business. Back for more about me? Thankfully, I won't start with my birth, but not too many years after that my dad got involved in the computer business just as it was being brought into the work place. While growing up my brothers and I played on (and fought over) a Commodore 64- does anyone else remember those? We had several games and other misc activities we could do on our fancy PC. Once in awhile (if we were being really good) our dad would let us play on his fancier Apple Macintosh computer which had better games and graphics, even back then. Eventually our experience with computers led three of the four of us kids into computer related careers. I have a degree in Computer Information Technology (with an emphasis in Technical Support) and have worked various technical jobs, including internal tech support for both a large law firm and Micron PC. I love to write, but only about things that interest me. Ever since I was a young lil' thing I've had an interest and "talent" for long-winded, hand written letters and journal entries. As technology began to grow so did my writing as it morphed from paper and pen to monitor and keyboard. I wrote huge posts in a few BBSs (pre-forum days) and later typed up a storm in chat rooms, emails, and other online media. I've noticed that when I first start to write something (letters, emails, blogs, and even Facebook posts) I usually only plan on saying a few things, but before I know it I've written a mini novel. I just can't seem to keep it short. For 10 years I worked as an independent contractor for a HUGE website (top 100 world-wide websites, listed on Alexa.com) where I created 1000's of articles, images, links, blog posts, resources, and other downloadable content. So I've done a LOT of writing, both on and off the web, which has given me plenty of practice for improving and honing my skills. I'm not sure if writing came to me naturally (grammar and spelling did not) but the desire to put my words to paper started from early on. As for non-techie stuff, I'm passionate about several topics and love to talk about them with a captive (aka can't-get-away-from-me) audience. Playing games with family and friends. I love playing all kinds of games! You'll find some quirky facts and stories in my "Love Notes" on the game pages throughout this site. Reading. My favorite genre is YA fantasy, see my bookshelf on Goodreads, but I also like self-improvement and personality books. Dating and courtship. I personally learned through *major* trial and error that there's a proper process that leads to the next item below. Building and maintaining a happy, healthy marriage. When done right it's wonderful and so much fun! Making jewelry. Mostly I just tinker. I inherited "young genes" from both my parents who also look way younger than they are. My mom is always getting the "shock" factor when people find out she has children and grandchildren that are as old as we are. When I was younger I hated looking so young. When I was 22 I had someone think I was 14. UGH. Of course, mom always said I would like it when I was older, and she was right. Creating, designing, and writing everything for this Kindle Fire website is a ton of fun for me! 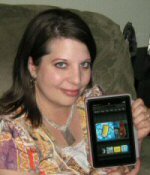 I'm excited to share with you all that I know (and continue to learn) and hope you will share your Kindle Fire tricks and tips with me too. If you haven't yet, you might want to read more about Love My Fire and how it came into existence along with My Solo Build It! 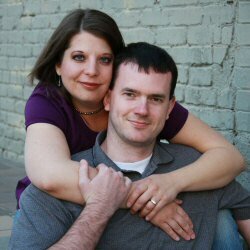 Journey which shows how I learned what I needed to turn my passion for the Kindle Fire into a successful website business.